The roundup of short news of the day includes Mark Cavendish's next race, a contract extension in Trek-Segafredo and a new member in the Vital-Concept roster. The former World Champion is set to start at the Norwegian race in a season that has had mixed results for the rider. There he will be joined by other fast men like Christophe Laporte (Cofidis), Andrea Pasqualon (Wanty-Groupe Gobert) and Sondre Holst Enger (Israel Cycling Academy). 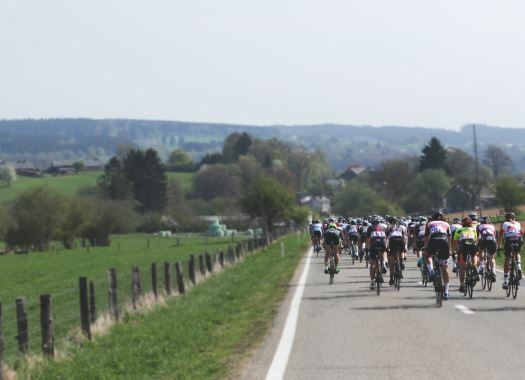 The race will also have the presence of riders that can fight for stages and good GC positions like Omar Fraile (Astana), Warren Barguil (Fortuneo-Samsic), and Dutch champion Mathieu van der Poel (Corendon-Circus). The Japanese rider has extended his contract with the American team until 2020. The 35-year-old has been in the team since its conception in 2014. "I'm very grateful that I could renew my contract with Trek-Segafredo until the year of the 2020 Tokyo Olympics," he said. "Those Olympics will be very special for me since they will be held in my home country. Of course, the 2020 Tokyo Olympics will be one of my big goals. It has been 18 years since I left Japan and I have spent half of my life in Europe to race on European soil, so to be able to keep on racing until the 2020 Summer Olympics, that means a lot to me. Over my whole career, I have seen many changes in cycling, but they haven't changed my passion and belief in this amazing sport. I will continue to give it my all in the two coming years." The Frenchman has inked a deal with the team for two years, putting an to his adventure with EF Education First-Drapac. Rolland is very enthusiastic about the new challenge with a team from his country and joining former teammates like Kevin Reza, Bryan Coquard, Julien Morice and Cyril Gautier. "When it came to making my choice for the next two seasons, joining the Vital Concept Cycling Club was obvious. It was a project that really picked my attention, the one that excites me the most. I have already participated in nine Tour de France, two Giro, three Vuelta and I still have many dreams to accomplish. After seeing the birth of the team and the way it went through the first part of the season, I know that I fit perfectly into the project. I come for the group that is being formed, for the atmosphere that reigns there and to bring it an added value."